Save on Blackberry Smartphones at the Deaf Pager Store. connected in over 185 countries. available today because it is rated for SprintSpeed(tm)! It comes in colors of red, platinum, and inferno. the store for deaf and hard of hearing people. the worsening Swine Flu epidemic! pulled out their funding of the deaf team's trip! 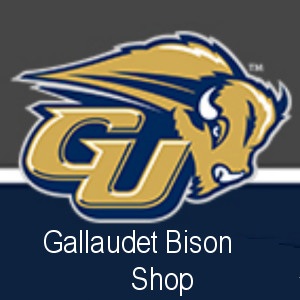 won a scholarship to attend Gallaudet University. the deaf were limited in Fuji. 10% off the price in October. Choose from either hardwired or portable units. spent time in the lobby chatting with each other. but not making face to face friends? to help solve their problems. HelpDesk job at a different government agency. the deaf or the hearing listeners. boring to a hearing neighbor of DeafDigest editor. interpreter and found the signs fascinating! largest city is Grand West. at the club for eight years. do not like the officers. to vote them out of the office. officers were corrupt and needed to be replaced. Sierra Leone, demanding ousters of these officers! a complaint among the deaf residents in the region. trains) are so dim that it is hard to read from afar. Public Announcement messages and must rely on displays. as far as the deaf are concerned! economics, for that matter) is the book - Freakonomics. hit the bookstore shelves - SuperFreakonomics. - why is it expensive to be deaf? President of RID, Cheryl Moose. for an article from a newspaper. to join us now in July, 2010? be considered English by the police? #14 is saying "I threaten you physically"
Of course, ASL purists would not agree! soap plots involving the deaf? in love with Abby, a deaf Amish woman (Amy Ecklund). There may be others. DeafDigest is not sure. 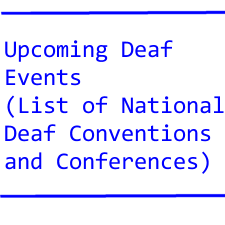 in future DeafDigest editions. Thank you. meaningful work in settings that are not segregated or sheltered. Rehabilitation agency procedures/policies for Supported Work. fluency in ASL required/capacity to gain these skills. project viability (revenue, expenses, etc.) and public response. to develop and refine Program. 5. Liaison to external entities. 8. Other duties as determined by supervisor/agency need. one year; contingent upon generated revenue. to school age process and the ESY/Summer Program. Deadline for submission is December 11, 2009.
of a diverse student population. the field, and service in the profession and/or the community. Copyright 2009 by Barry Strassler, DeafDigest.